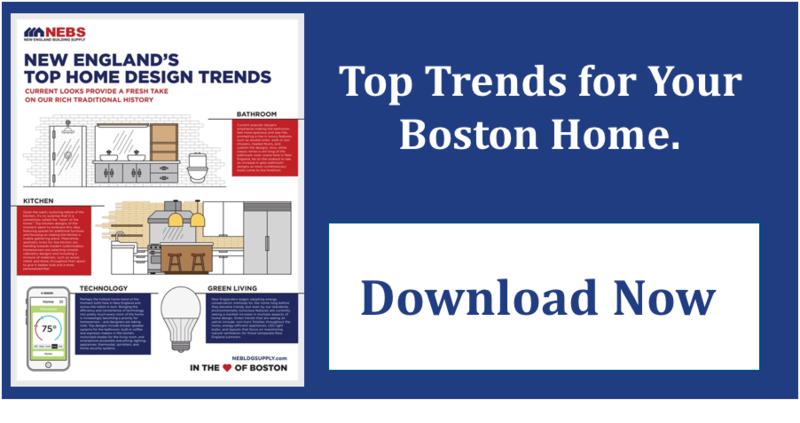 The new year is upon us and Boston homeowners are wondering what the next big home design trends will be. When it comes to windows and doors, several trends that have been around awhile will see some expansion while a few other trends are just emerging in 2018. Here are some of the window and door trends you’ll want to keep an eye on! Among the biggest door and window trends for 2018 are black frames and natural wood. Black, because it adds a sense of sleek sophistication, which is something that both homeowners and designers are looking to achieve. Black frames also go well with one of the new 2018 Pantone View Home + Interior color palettes. Specifically, the Intensity palette, which relies on black and gold tones to bring that feeling of sophistication into a room. When it comes to natural wood, traditional pine is out and more exotic woods are in. In particular, fine-grained woods such as oak or mahogany are highly sought after. Large windows have been a design staple for several years now but in 2018, this trend will be somewhat modified. Because so many home design trends are centered around modernism and clean lines, arching windows and other curvy shapes are becoming less desirable. Now, builders and designers are opting for floor to ceiling windows in purely rectangular shapes. To avoid a dated look, stick with square or rectangular windows. As far as design styles go, French windows are popular as are windows without muntin bars so that the glass is one clean, unbroken expanse. The indoor-outdoor connection has become something of a buzzword among design circles. A home with a good indoor-outdoor connection is one that not only allows excellent views of the landscape but also great access to that landscape. 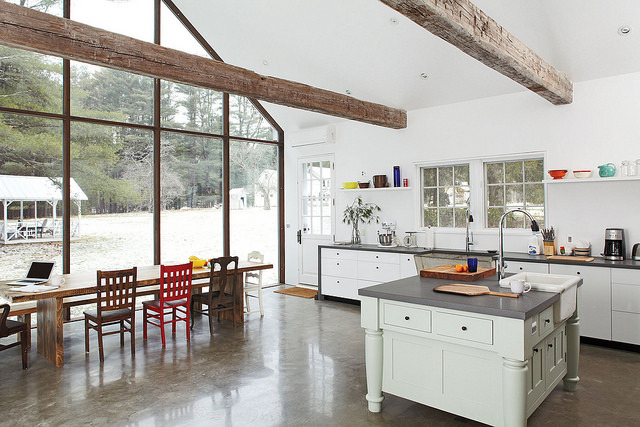 This connection is a large part of why huge windows are such a major trend and it is one reason why large glass doors are becoming more popular. The interesting thing with this trend is that while glass doors are trendy, traditional sliding glass doors are not. Instead, designers are opting for more inventive solutions. French doors surrounded by windows are one great way to give yourself both see-through and walk-through outdoor access. Accordion style sliding doors are also becoming a popular alternative to the traditional sliding glass door, especially since this type of door allows for a much wider opening when the door itself is open. Window technology has come a long way in the past several years, in large part because of the overall smart home trend, which is one that allows a resident to control many aspects of the home remotely or automatically. In 2018, window technology will be less about insulation or glass coatings (although energy efficient construction never goes out of style), and more about features that work in conjunction with a connected home. One great example of this is the Marvin window lock status sensor. With this device, homeowners are able to check up on the status of the window itself, whether it is open or closed, locked or unlocked. Another new high-tech innovation that is gaining traction is the thermochromic window. This is a type of window tint that is capable of adjusting the tint or the opacity of the window based on the rise and fall of temperatures. For 2018, think about high tech solutions and windows or doors that brighten the living space to give it that highly sought-after indoor-outdoor collection. Most of all, remember to keep the look smooth and sophisticated in order to stay on trend.